​creating unforgettable journeys to the Indian Himalayas and beyond! Ladakh Travel Co. is a bespoke family-run travel agency that specializes in custom made travel plans for Ladakh (and beyond!). and we work hard to facilitate well organised, unique and unforgettable journeys for all of our guests. we will do whatever it takes to ensure that your time Ladakh is memorable- for all the right reasons! We know what we're good at - creating the perfect tour packages for all of our guests - and we don't pretend to be anything else. ​We pride ourselves on our hands on, personalised service... and we believe in making our living the old fashioned way - by earning it! based on our knowledge and experience of what our previous clients have really enjoyed. 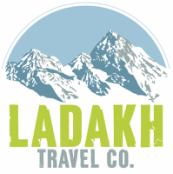 Ladakh Travel Co. was created by two passionate individuals who LOVE to travel! Having the opportunity to showcase the beauty and charm of the places we enjoy in India is not just our business, it's our mission! you will not only tell your friends, but you will want to come back and tour with us again and again!